Scape created tailored arrival experiences for each building function; hotel, residential tower, convention centre & retail mall. 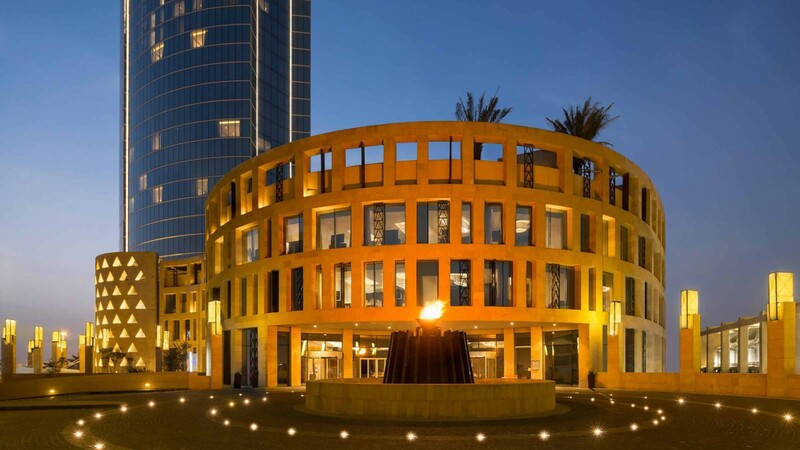 Aiming to set the standards in Luxury real estate development in Riyadh, Burj Rafal is located just north of the capital city on King Fahad Highway, residing in the heart of the prestigious business district. 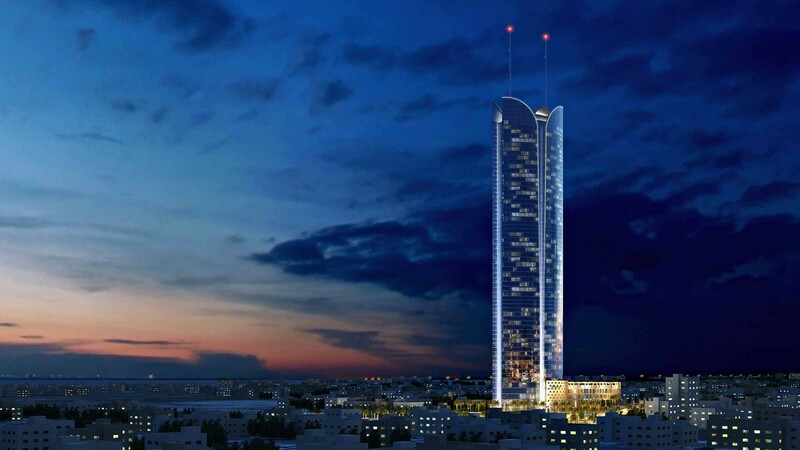 At 308m high and with 70 floors, it is currently the tallest residential building in Saudi Arabia, opening in 2014. 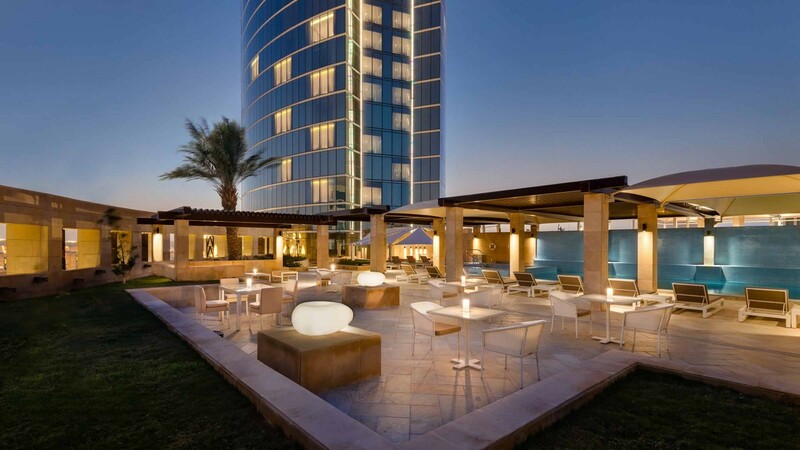 The glazed tower houses a mix of uses including a five-star Kempinski Hotel with 300 luxury guest rooms & suites, luxury residential apartments, as well as commercial space. The podium is clad in Riyadh stone and inspired by the local Najd style architecture, characterised with triangular openings. 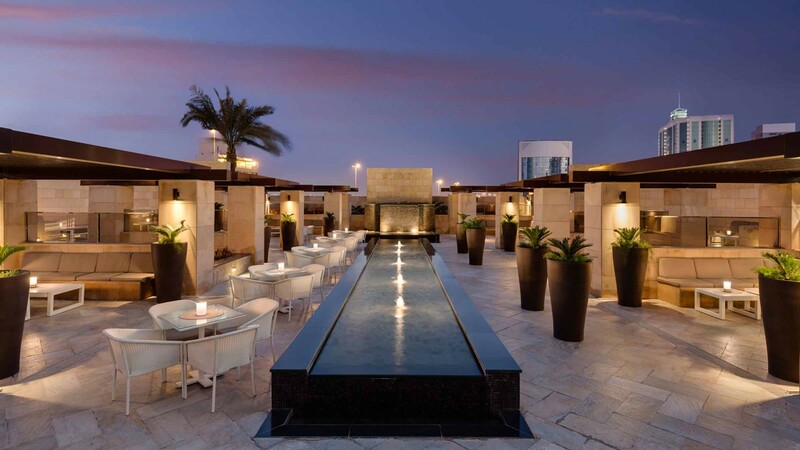 It is home to a wealth of the hotel facilities including restaurants and cafes, roof deck pools & lush gardens. CLIENT: Rafal Real Estate Development Co. Ltd. SA.